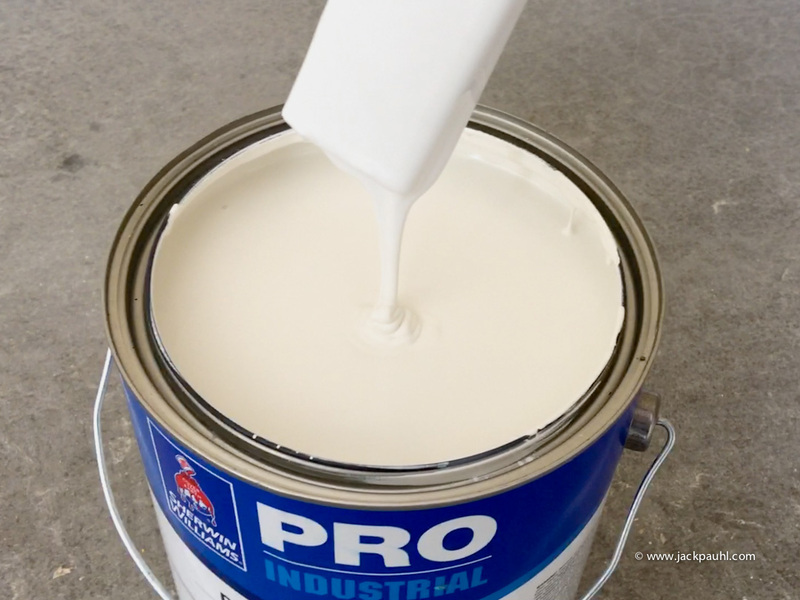 What is the most important thing of all when it comes to paint and primer? So why is adhesion not listed in the blue column? Without sufficient adhesion, a coating of otherwise excellent properties in terms of resistance to weather, chemicals, scratches, or impact would be rather worthless. It is therefore necessary to provide for good adhesion features when paint materials are formulated. Source: Coatings Technology - Fundamentals, Testing, and Processing Techniques The material was previously published in Coatings Technology Handbook, Third Edition © Taylor and Francis Group 2006. They probably don't list adhesion because you'd have to specify a a number of different substrates and then state the level of adhesion. That would then make the table too big to fit on an 11x17 page. 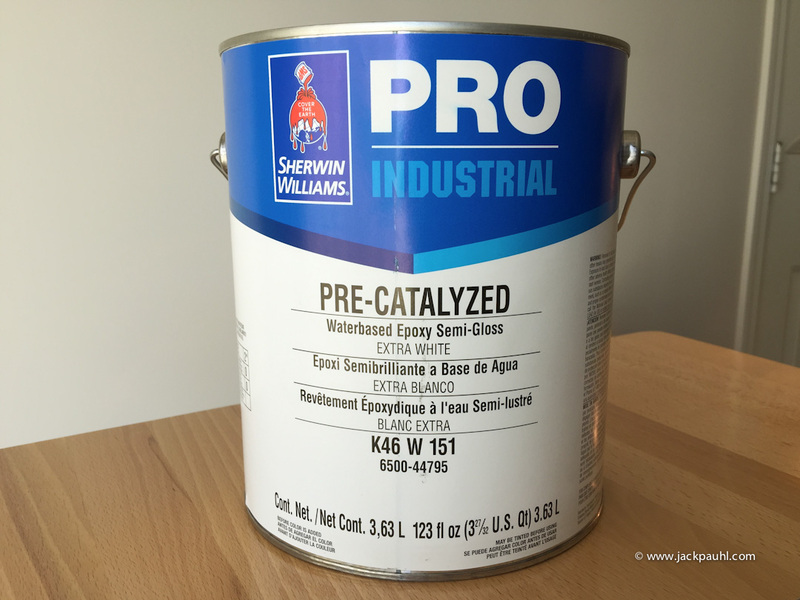 Here is a photo of the thickness (viscosity) of Sherwin Williams Pre-Cat Waterbase Epoxy K46. I prefer paint a bit thinner than what we see here although the PDS states "Thinning Not Recommended." However, a small reduction would be necessary to produce a finish without brushmarks. I didn't care at all for how K46 applied with a brush. 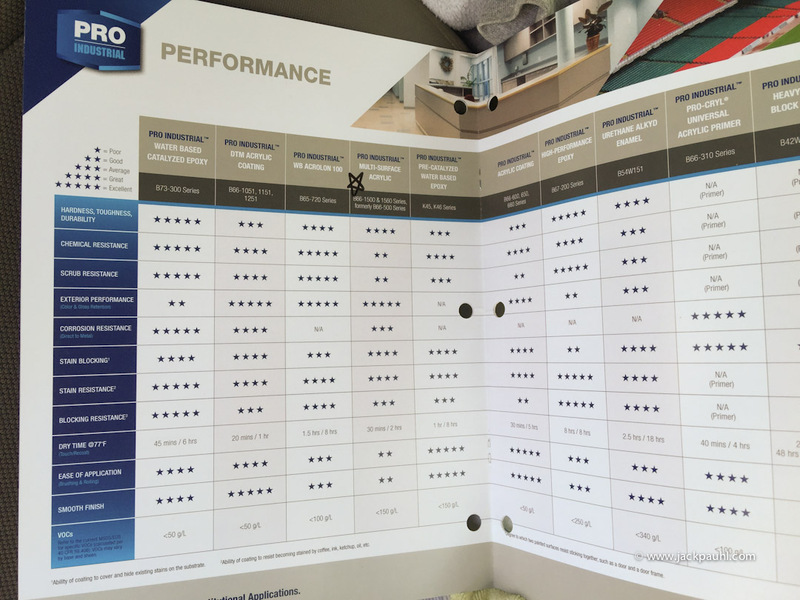 K46 was listed with 5 Stars for (Smooth Finish) on the product brochure; realistically it is a 3 Star finish. Applying K46 reminded me of applying SuperPaint. Great minds think alike. Even when using the Blaze, it was brush mark central. I'm glad we weren't painting brand new doors and trim. I don't like my paint fluffy. Low standard for adhesion. I suppose we shouldn't expect much when we see ASTM D3359. Maybe I should do a dissertation on why D3359 isn't sufficient. Basing adhesion performance on the D3359 is like saying, it passed the bare minimum. The first red flag is the word pro on the can. Its the words Sherwin Williams uses to describe their products that creates a certain level of expectation only to be let down. I should publish a word conversion chart. If it's "Pro" then consumers shouldn't use it, because Pro is short for Professional, meaning one who gets paid for what they do. Anybody can call themselves a Pro. Not everyone can call themselves an "Expert"!